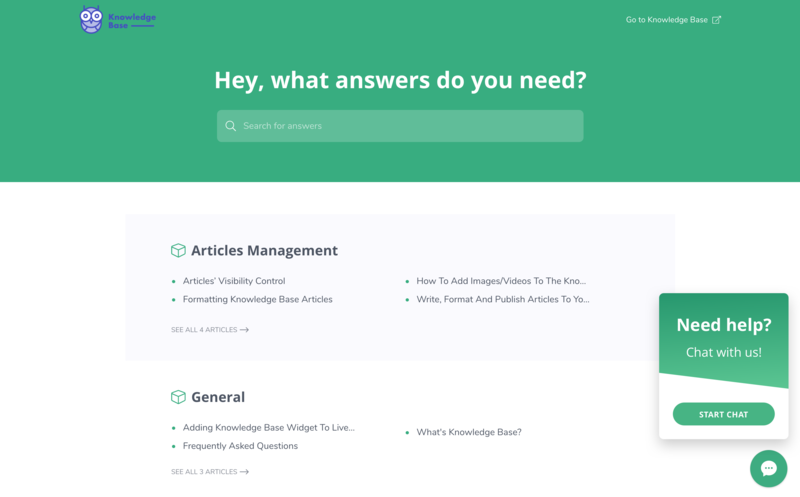 Knowledge Base is an app to collect and manage all your know-how and use it to support your agents and customers at the same time. public Help Center your customers can use to help themselves. Help Center opens a new support channel for your customers. It's super helpful when agents are not around, or if they are overloaded with support requests. It's a go to place for customers to search your help content and find answers to their queries. You can customize the Help Center so it matches your brand. Go here to choose brand colors, add your logo, change a headline, and link it to your website. What's more, the Help Center is visible for search engines, so it will bring new traffic to your website. The help widget for LiveChat displays your help articles right in the LiveChat app, so agents can easily access them when chatting with customers. 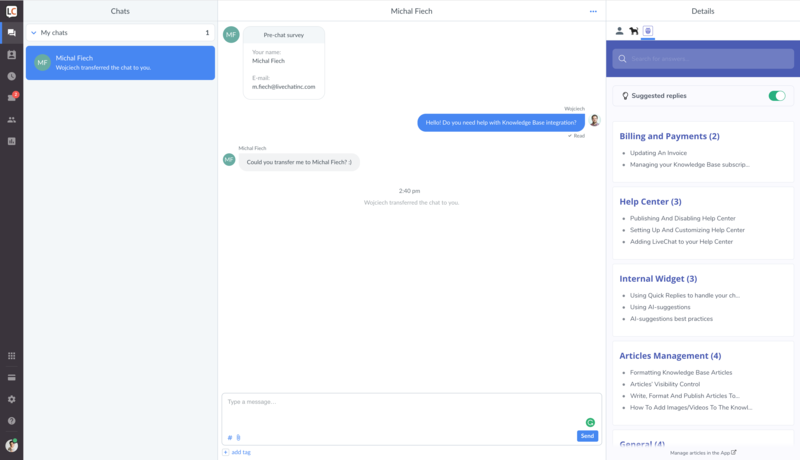 The internal search, Add to reply button, and AI-suggestions will speed up the chat resolution and save time on switching the tabs. Is it a free LiveChat extension? We offer a free plan featuring the Help widget for LiveChat, and a 14-day trial of the Smart Knowledge Base plan. Need help setting things up? We’re here to help. Reach us via the ticket widget in the lower-right corner.